Nick Sherrod is a lifelong hunter and has been a professional photographer since graduating from Carson Newman University in 2012. 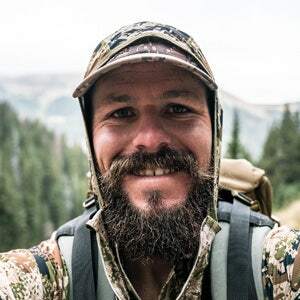 His passions include whitetail deer, turkey and waterfowl and the call of big game pulls him West each Fall for elk and antelope season. If you find yourself in the marshes of Tennessee and Arkansas or the mountains and prairies of Montana, you might just spot Nick in action. It is probably my first duck hunt. It was a wood duck hunt in a small creek bottom and there were so many ducks, that we couldn’t keep our guns loaded. My favorite is chasing turkeys here in Tennessee. I’d do it everyday if I could. A sheep or Grizzly hunt with my bow.